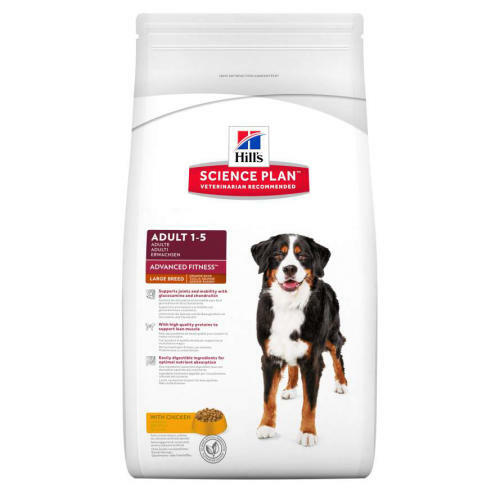 Hills Science Plan Canine Adult Advanced Fitness Large Breed is precisely balanced nutrition for optimal joint and muscle support, for large dogs with Chicken is formulated for optimal joint and muscle support, for large dogs. 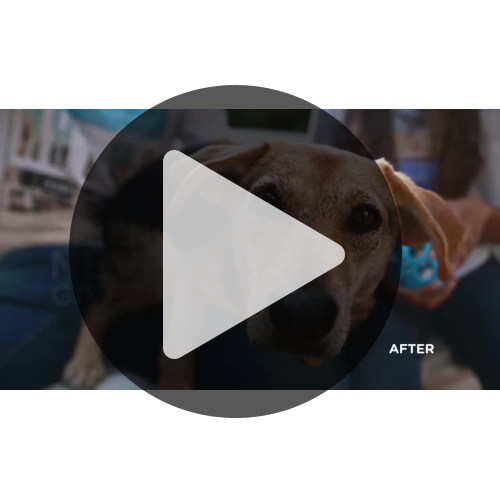 With clinically proven antioxidants, glucosamine and chondrotin from natural sources. It is recommended for Adult dogs, weighing 25kg or more, from 1 year until 5 years old. As fed: Calcium	0.79%, carbohydrate (NFE)	48.2%, Fat	15%, Fibre (crude)	1.7%, L-Carnitine	325 mg/kg, Magnesium	0.11%, Omega-3 fatty acids	0.46%, Omega-6 fatty acids	3.5%, Phosphorus	0.64%, Potassium	0.69%, Protein	21.8%, Sodium	0.28%, Vitamin A	7167 IU/kg, Vitamin D	732 IU/kg.